Chicken Bread Roll is a chicken stuffed bread with spicy masala inside and crispy outside. 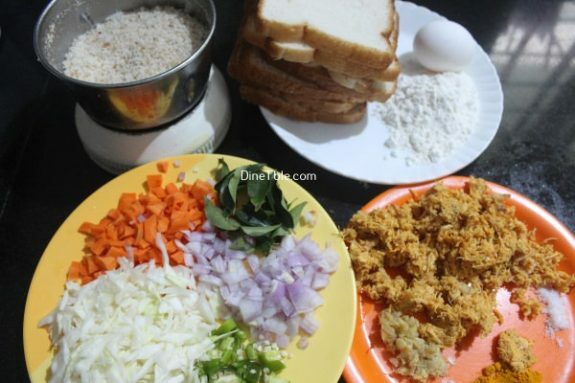 Finely chopped fresh vegetables and cooked chicken are mixed and filled into bread pieces and deep fried. 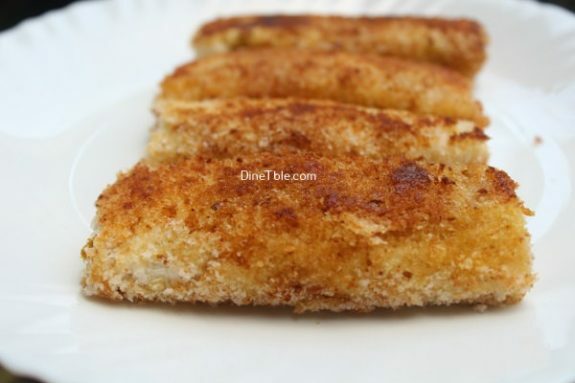 It is a delicious and simple starter recipe. 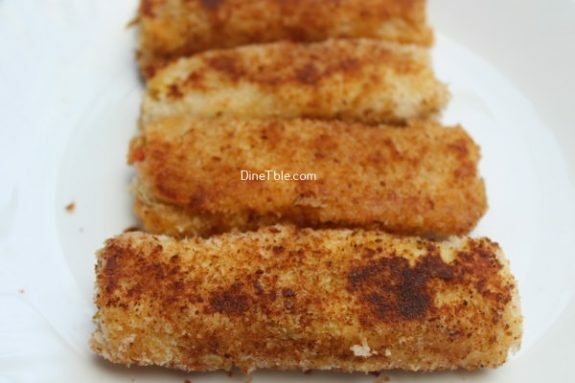 Bread chicken roll looks very similar to spring rolls though it is different in taste and preparation. 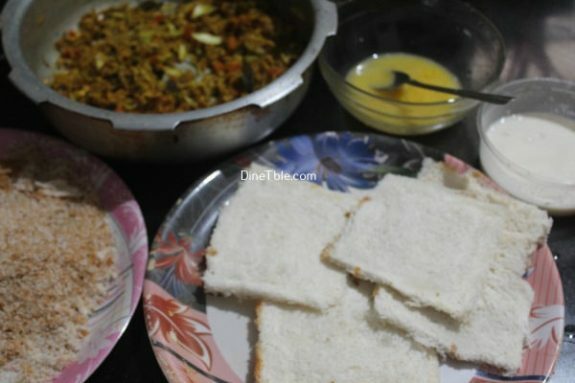 You can stuff the bread slices with your favourite fillings like prawn masala, veg masala, mutton masala and so on. 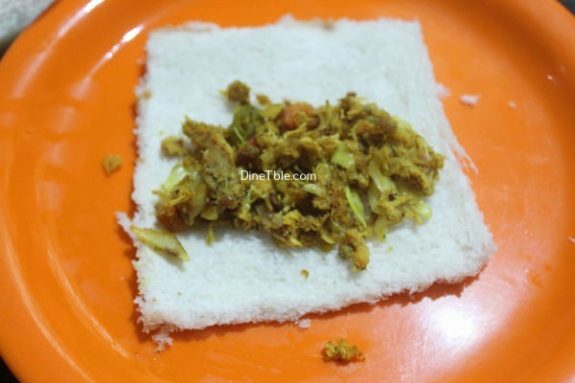 This is very easy to make and every non vegetarian like this chicken roll. Kids also like this very much. Clean and wash the chicken pieces. Take a pressure cooker and boil the chicken along with 1/4 teaspoon chilly powder, 1/4 teaspoon turmeric powder, 50 ml of water and salt. Cook for 2 whistle. 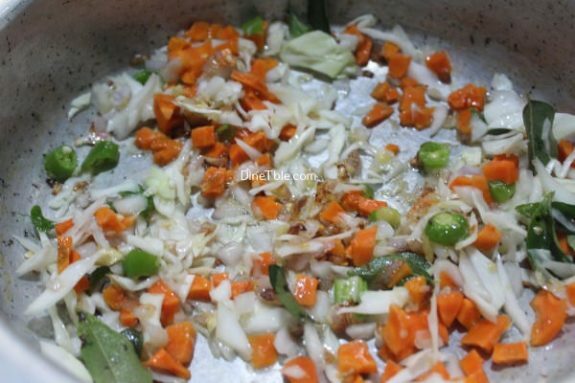 Heat oil in a pan and add ginger garlic paste, green chillies, onion and saute for 5 minutes. 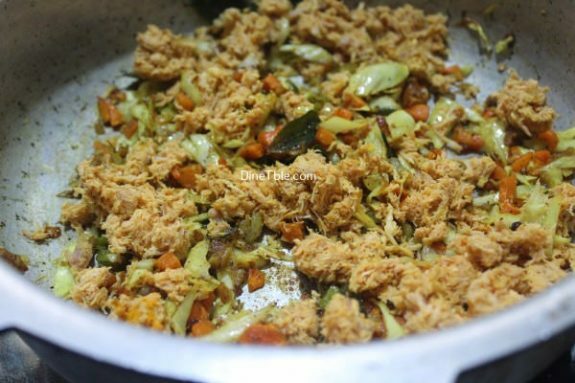 Add chopped carrot, chopped cabbage, garam masala powder, turmeric powder, pepper powder and salt. Cook until done. Then add boiled and shredded chicken into it and saute until the chicken becomes dry. Turn off the flame when it become dry. The filling is ready. 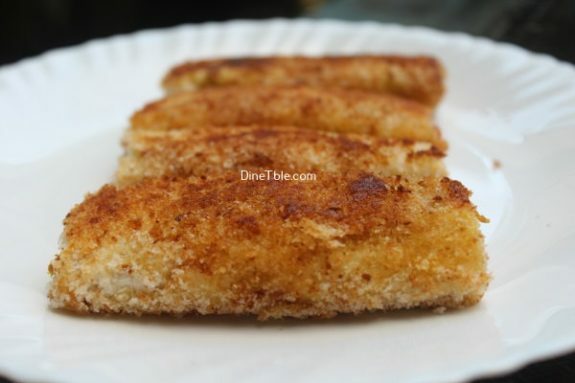 Take 2 tbsp of maida in a bowl and mix it with few tsp of water and make a thick batter. 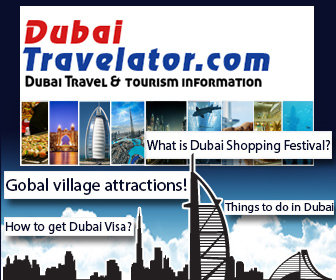 This is used for closing or sealing the ends of bread rolls. Remove the side of the bread. Dip each slice in milk (do not dip completely) and flatten with your palm. Add 2 tbsp of filling in the center of the bread and apply the maida mixture along the edges. Fold it and press the edges to seal properly. 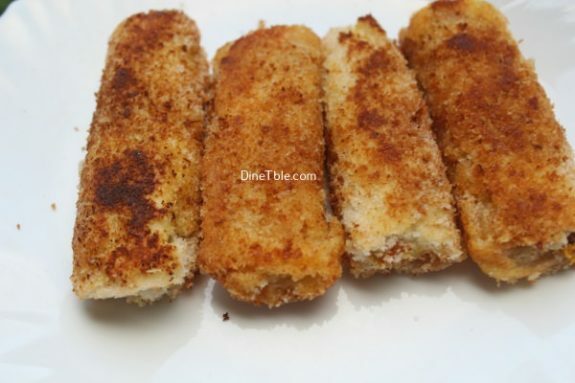 Dip each roll in beaten eggs and roll in breadcrumbs. Heat vegetable oil in a pan and deep fry the chicken bread rolls till both the sides turn golden in colour or heat a pan with 3 tsp of oil and toast both sides of the bread roll until golden. Transfer it to a paper towel. Tasty Chicken Bread Roll is ready.